We all know we should be spending more time being physically active. You don’t really have a chance to forget between billboards, TV adverts and magazine covers promising the latest way to get your summer body ready and fast! Beyond wanting to feel more comfortable in your bikini or swimming trunks there are many reasons why being active is good for your body. Exercise can keep your heart healthy and help lower the risk of diabetes and reduce blood pressure. Equally important as these physical benefits exercise can improve your mental health and wellbeing. The Department of Health recommends that adults should aim to be active every day and complete 2.5 hours of moderate intensity activity over a week – the equivalent of 30 minutes five times a week. It may sound like a lot, but it doesn’t have to be as daunting as it first appears. Being active doesn’t have to mean doing sport or going to the gym. Even a short burst of brisk walking for 10 minutes can increase your mental alertness, energy and positive mood. There are lots of ways to be active; find the one that works for you. If you’re put off by sporty exercises, or feel uninspired at the thought of limiting yourself to just one activity, think outside the box and remember that going on a walk, doing housework, and gardening are all physical activities. Adopting a more active lifestyle can be as simple as doing daily tasks more energetically or making small changes to your routine, such as walking up a flight of stairs. Research suggests that doing physical activity in an outdoor, ‘green’ environment has greater positive effects on wellbeing compared to physical activity indoors. Making small changes, from leaving the car at home for short journeys or getting off the bus a stop earlier, to higher-intensity activities like joining in with your children’s football game or jogging with the dog, can help to boost your mood. Join in on Friday 28 April 2017 and encourage your friends to take a stand. Team up with colleagues and see how much ‘sitting time’ you can reduce on the day. It can be overwhelming when you decide to make changes to your life, and it’s normal to get anxious about trying something new. Some common barriers, such as cost, injury or illness, lack of energy, fear of failure, or even the weather can hinder people from getting started; however, having practical and emotional support from your friends and family, and experts really does help. 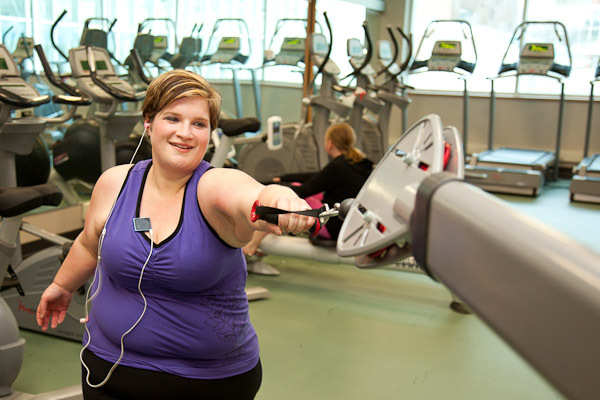 Body image can act as a barrier to taking part in physical activity. For women, attending a women-only exercise class or swimming session may help to overcome anxiety as a barrier to initially starting to exercise. The environment can influence how you feel; gyms with mirrored walls tend to heighten anxiety, as does exercising near a window or other space where you might feel ‘on show’. Exercising with a companion can help to reduce anxiety about how your body looks to others, and may be particularly helpful during the first few exercise sessions. Is exercise always good for mental health? While it is true that physical activity can do wonders for some people’s health and mental wellbeing it doesn’t work for everyone. People experiencing episodes of mental ill-health may frequently hear that if they exercise they won’t need medication or therapy. 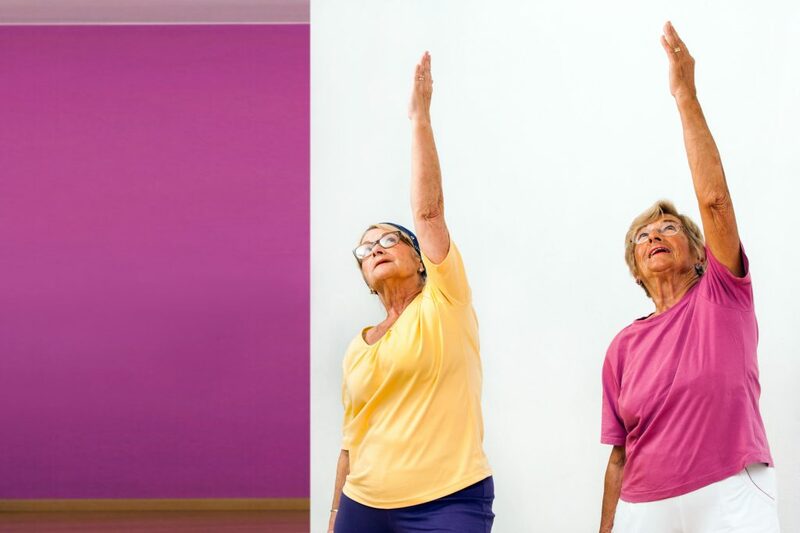 This can be true for those on the milder end of the clinical spectrum but for those with longer-term or harder to treat conditions, exercise can be one tool at their disposal, when they feel able, with more traditional tools like a combination of medication and talking therapies likely to be at the forefront. Time to Change Wales and Football Association Wales Trust collaborated to create We Wear The Same Shirt. It’s a unique pilot football programme designed specifically for people with lived experience of mental health, and a public campaign to combat stigma. Visit their website to find out which clubs in Wales are delivering free tailored programmes by their top coaches. For further information the Mental Health Foundation has a ‘How to…’ guide all about looking after your mental health using exercise. It’s important to discover what works for you and do what you can.